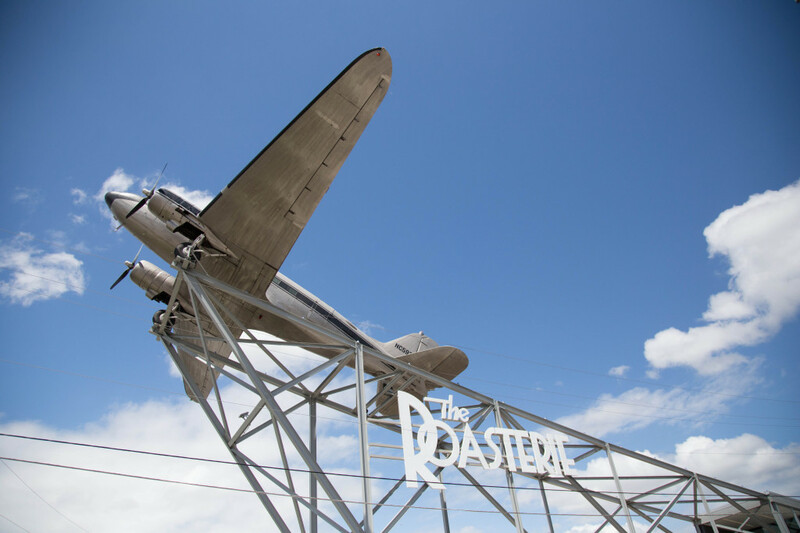 I love good coffee and never drink bad coffee – that is the main reason I roast my own. 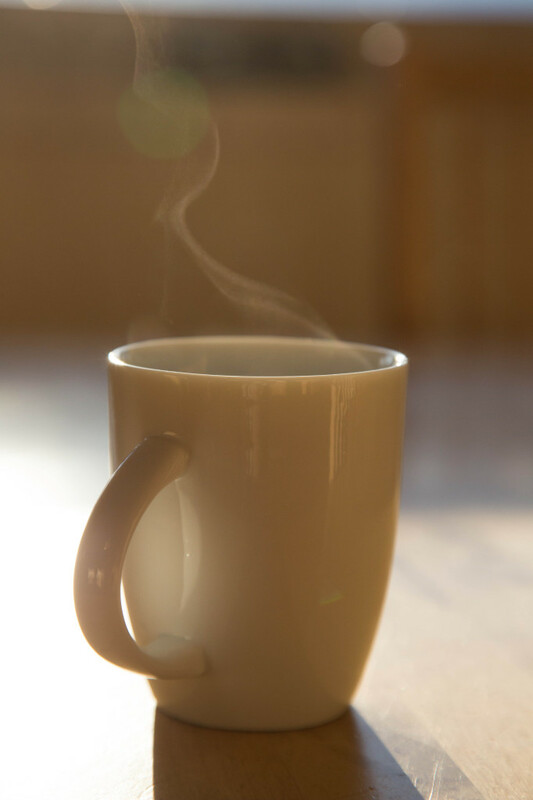 And to be honest, I seldom drink more than two or three cups every day. I usually enjoy a good cup of tea for breakfast, lunch and supper. Recently my Nepalese friend Raj Kumar Banjara, who produces the wonderful Himalayan arabica, sent me some fantastic Himalayan tea. 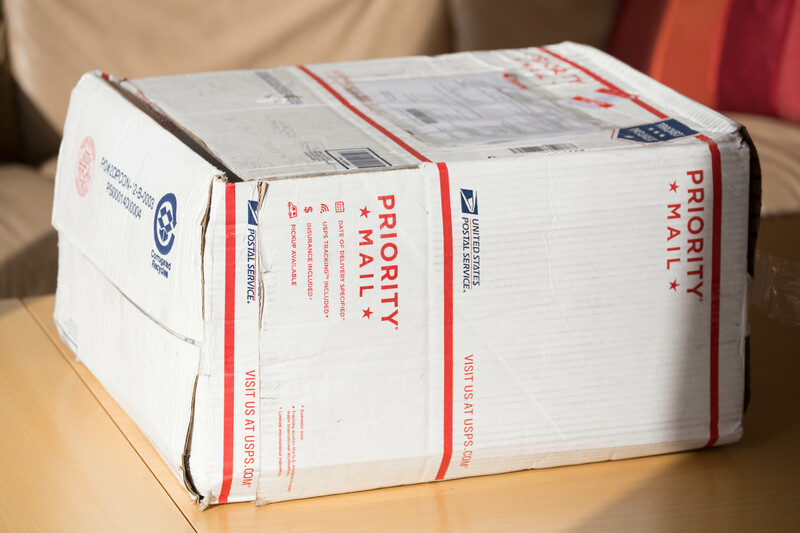 Actually, I received a whole bunch of samples. In addition to the ones you see in the image above I got Sencha, Downy tips, Golden tips, Bancha green, Maofeng, Emerald green and Pearl tea. 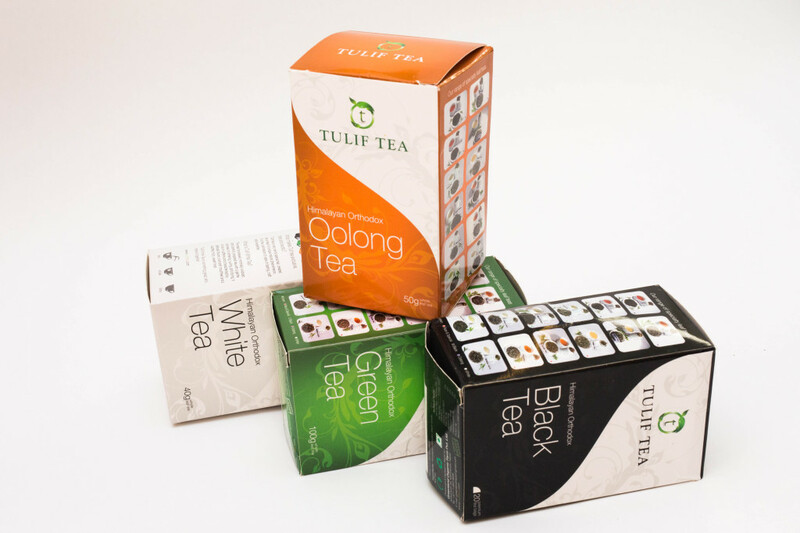 During the recent weeks I have really enjoyed drinking all these different types of tea, and my conclusion is that they all have extraordinary flavor and aroma. The white tea is among my favorites for supper. 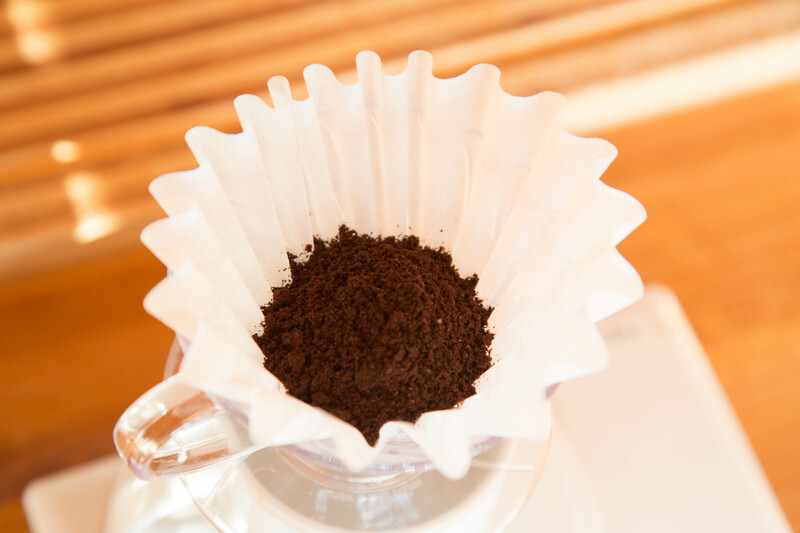 I usually drop a small pinch of leaves in the cup before adding water. After a couple of minutes the leaves sink to the bottom and swell. 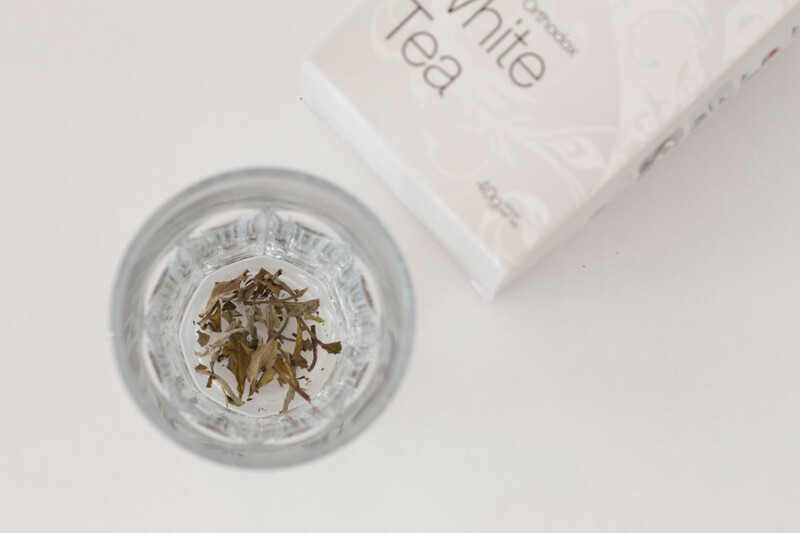 Made from the buds of the plant and steam dried quickly after harvest, this tea is not oxidized and therefore contains a lot of anti-oxidants. 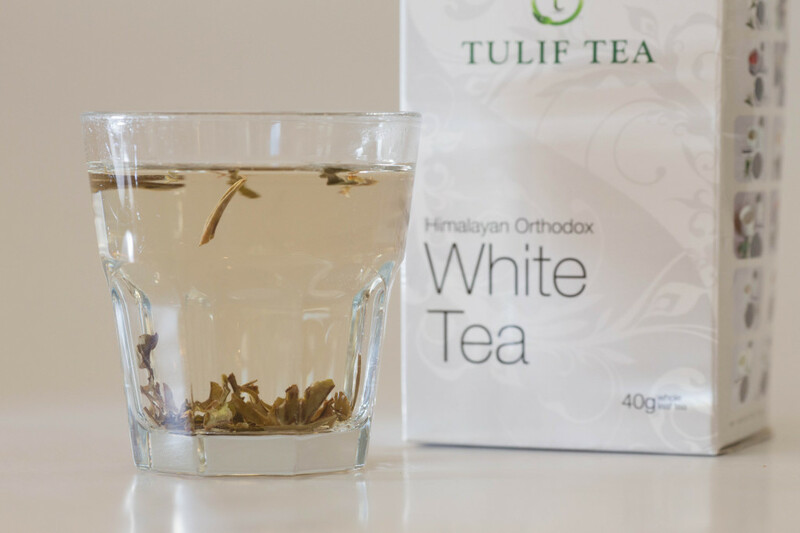 With its low caffeine content and sweet taste, it is the perfect evening tea. The unique aroma of the black Oolong tea is the result of a very special production technique. 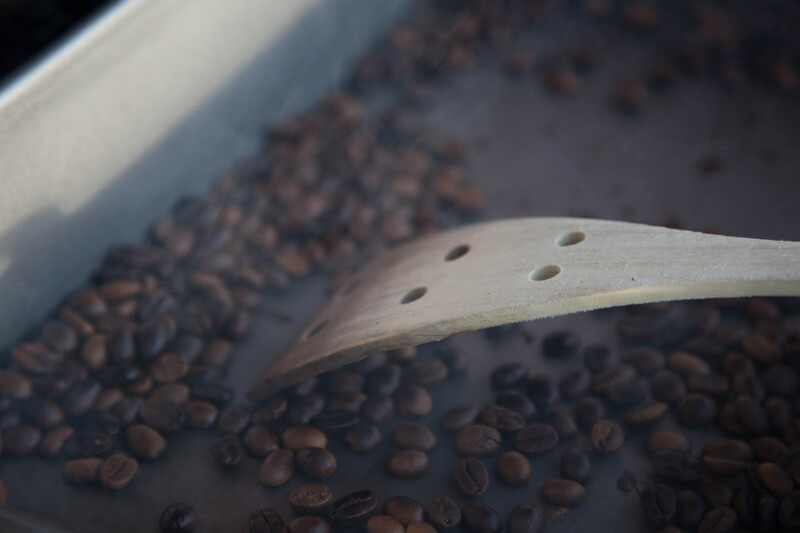 The leaves go through a process of withering, bruising, rolling, oxidation and repeated roasting. 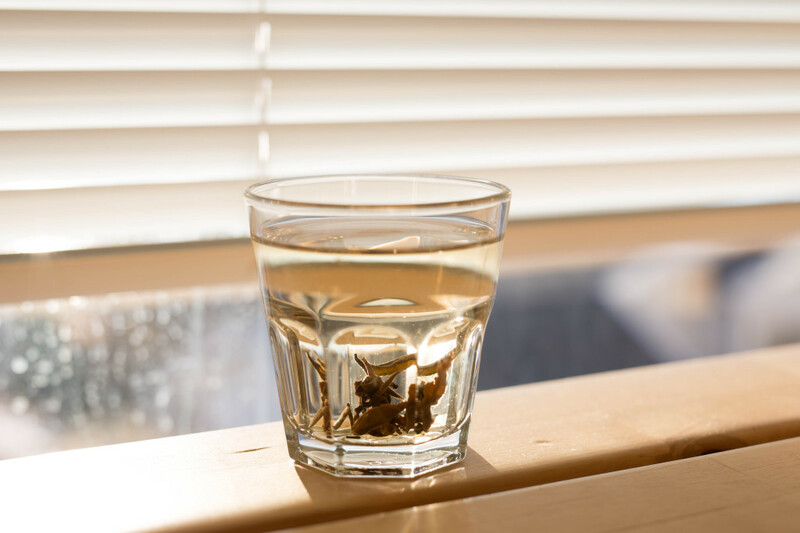 Downy tips tea is grown at a very high elevation and has the freshness of lime combined with a gentle aroma of Himalayan herbs. 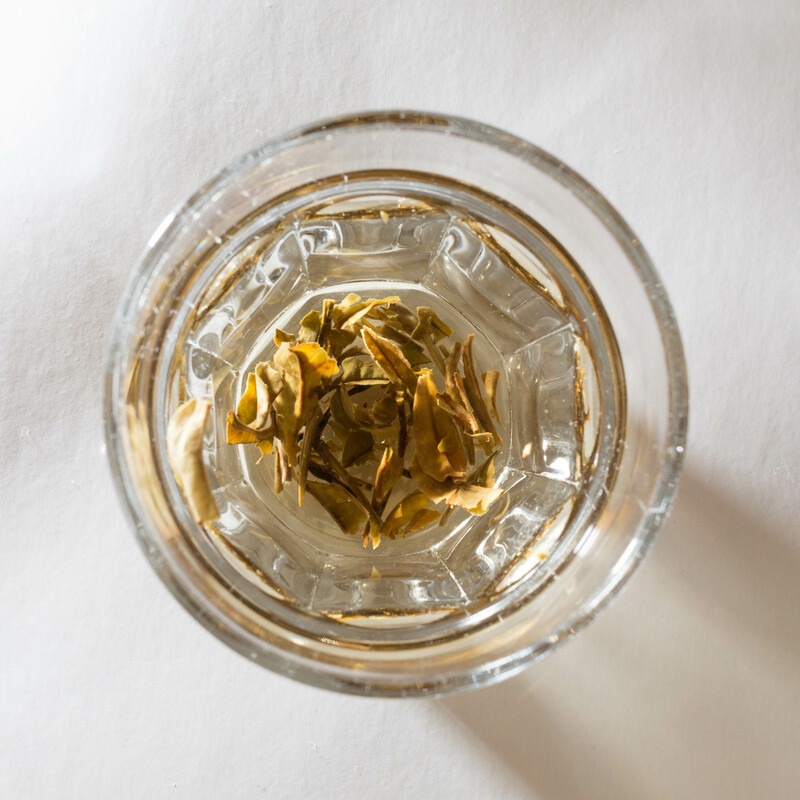 Grown in the northern hills and with a whiff of Himalayan musk, the Golden tips tea is called “the King of the Himalayas”. 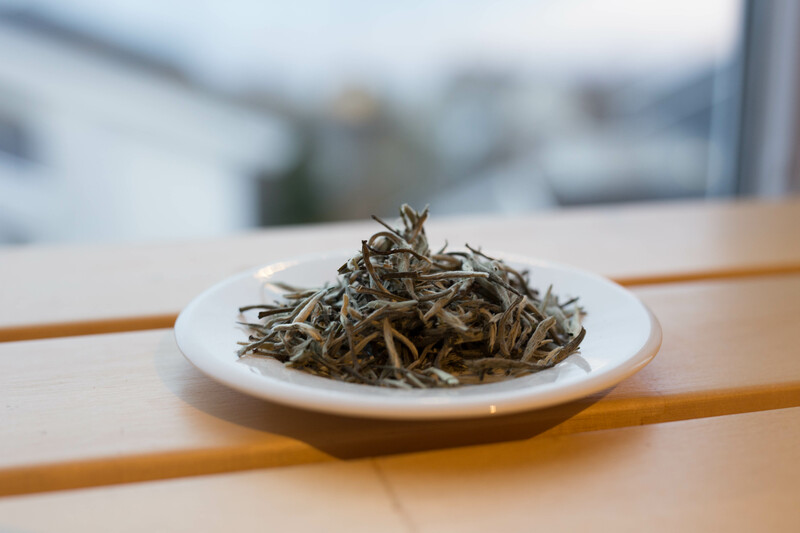 Another favorite of mine is the Pearl tea which is also grown at a high elevation. Each pearl is made from a leaf and a bud from a the plant. 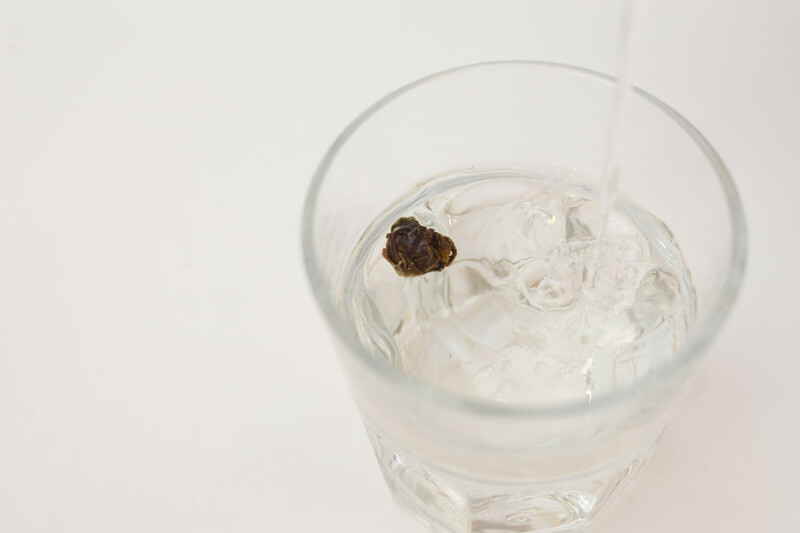 The leaf and bud reveal themselves when water is added. After a couple of minutes, a sweet and fruity taste develops. 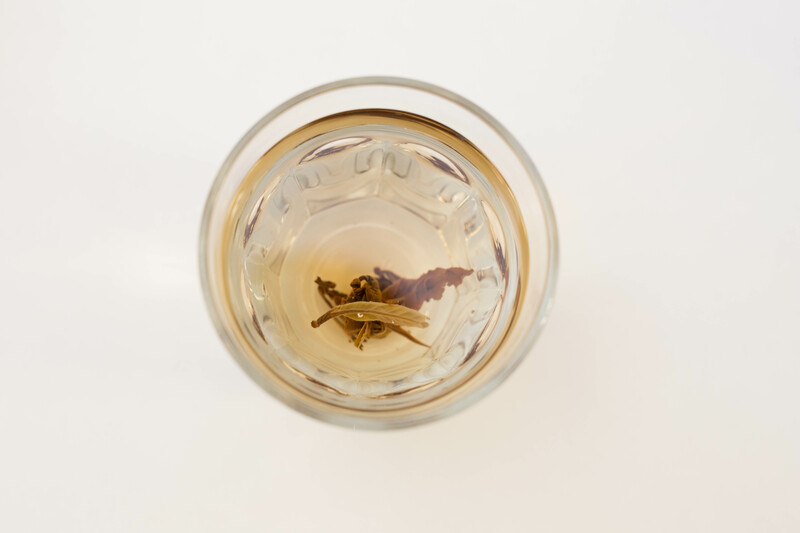 A common denominator of all these teas is the rich aroma combined with the absence of bitterness. 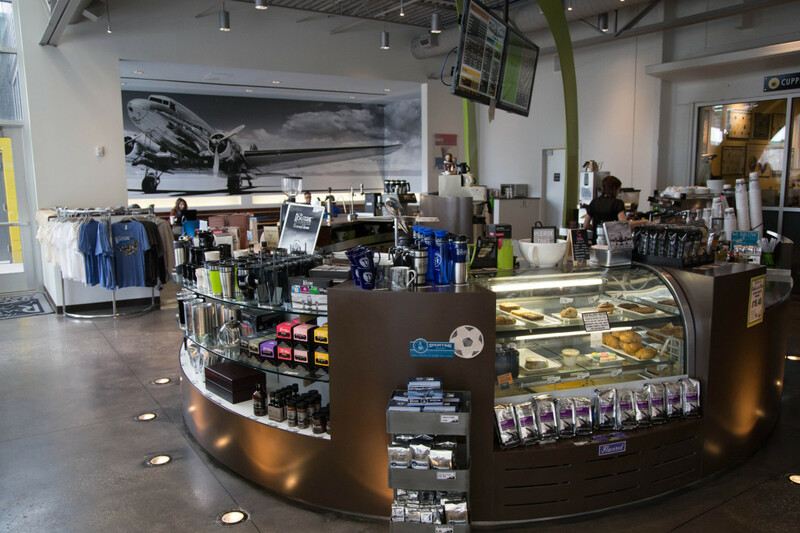 They are all natural in their flavor, not containing any additives or artificial aromas. 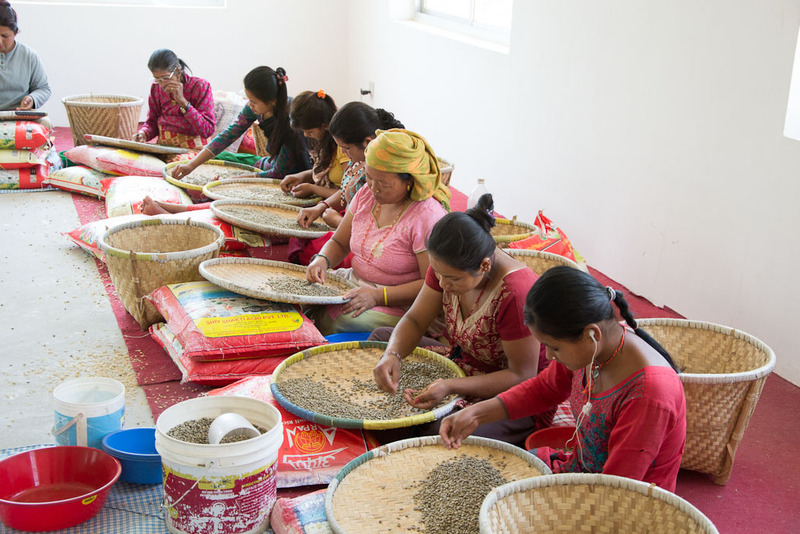 There is no doubt that the artisans cultivating and producing these exclusive teas do a magnificent job. 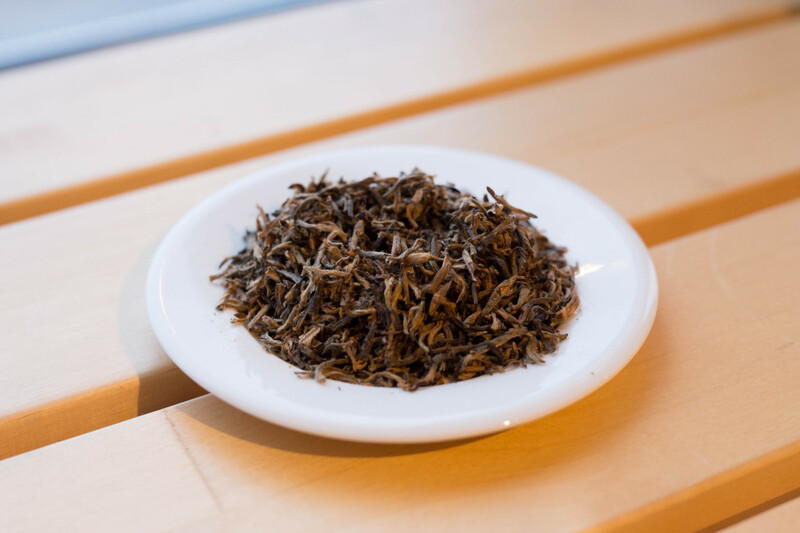 Just as the Himalayan arabica does with coffee, the Himalayan tea from Greenland Organic Farm takes tea drinking to a whole new level. 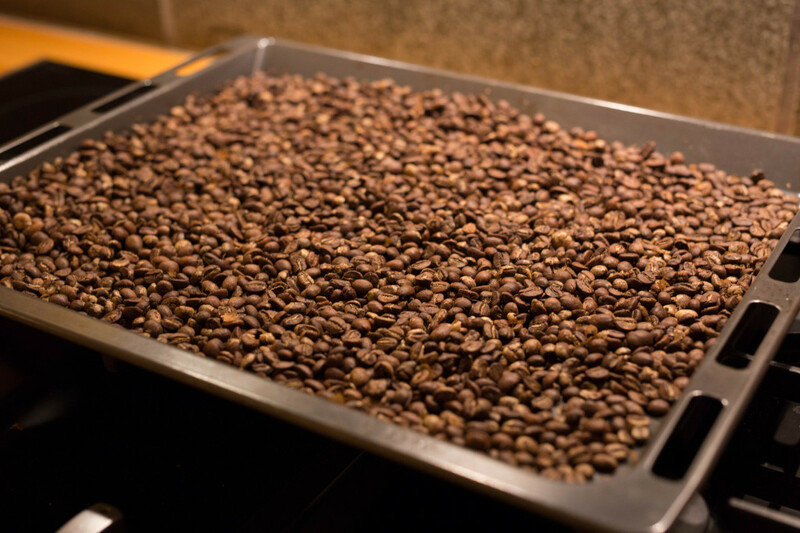 Coffee roasting is easily done in the kitchen stove. 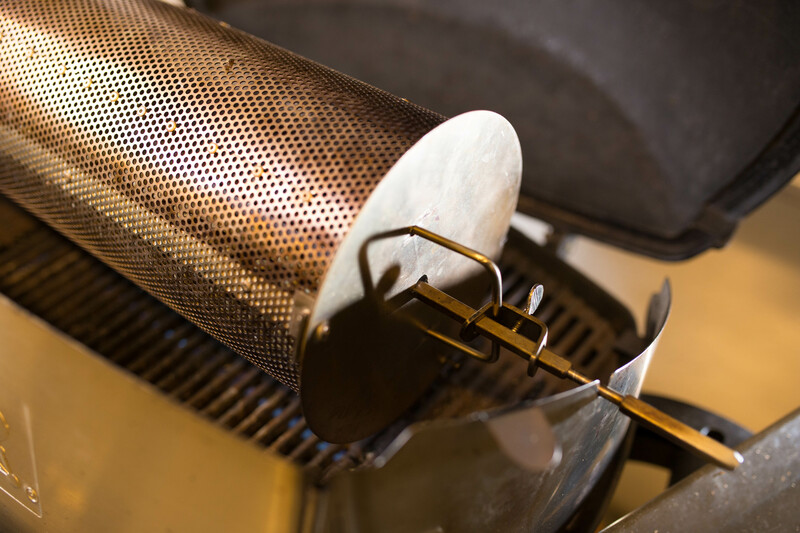 Very little smoke develops unless the coffee is dark roasted, which means a core temperature of 225 C / 440 F when the beans go through the second crack. 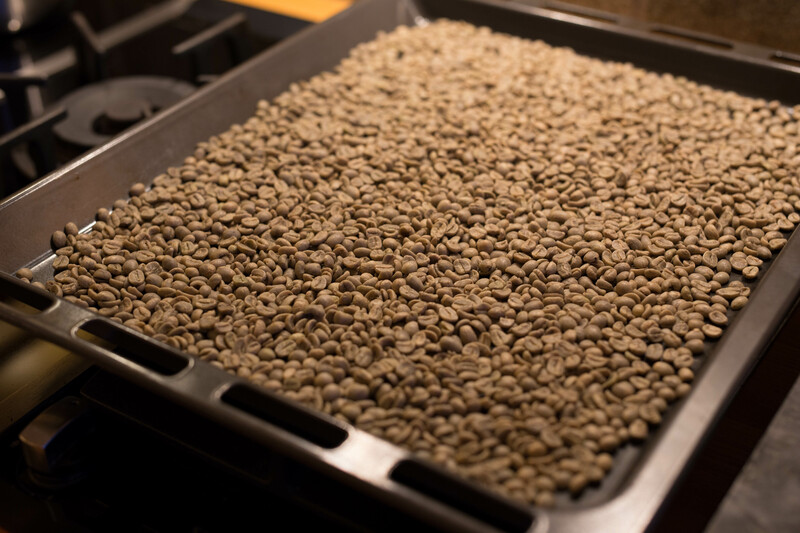 Light and medium roasted coffee may be roasted in a roasting tin. 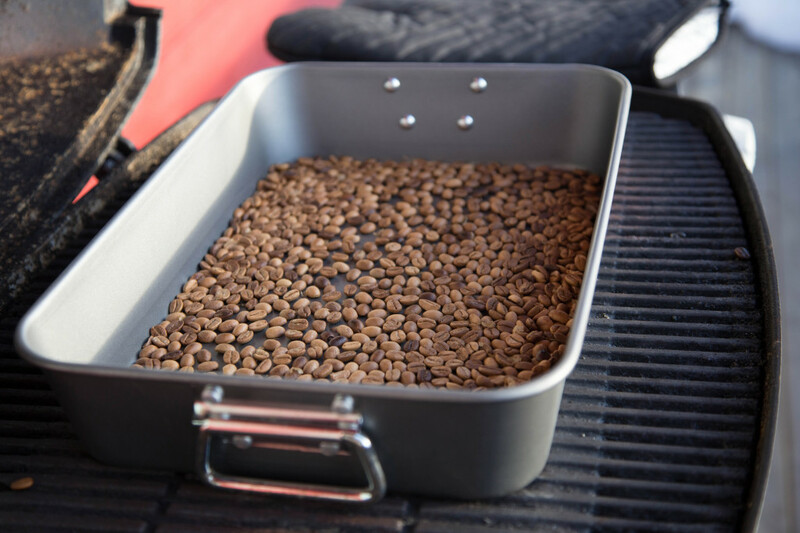 Spread the beans as one layer in the tin – you may roast a little more than half a pound every time. 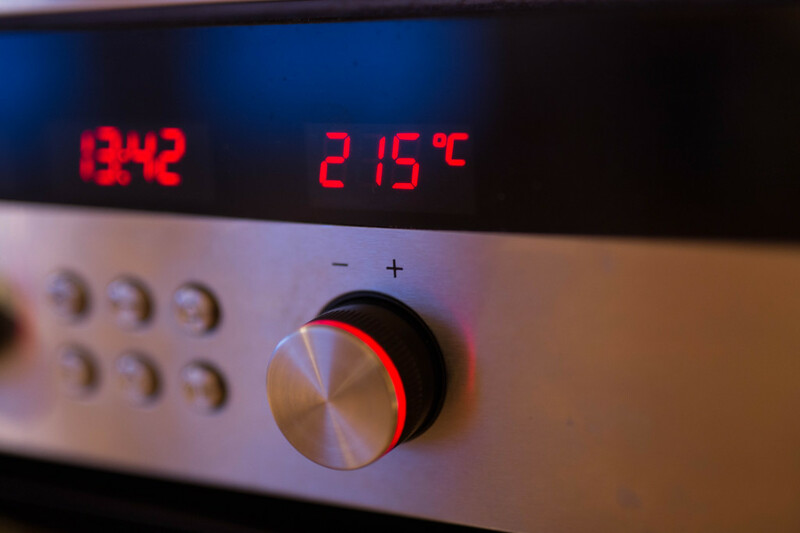 The tin is placed in a cold stove and the temperature set at 215 C / 420 F, preferably with circulating air. 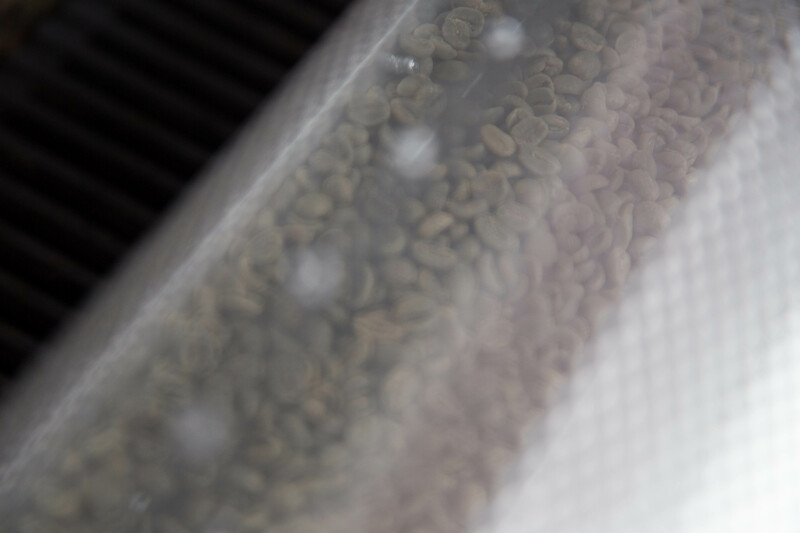 The coffee beans gradually increase their temperature, first drying and then roasting. 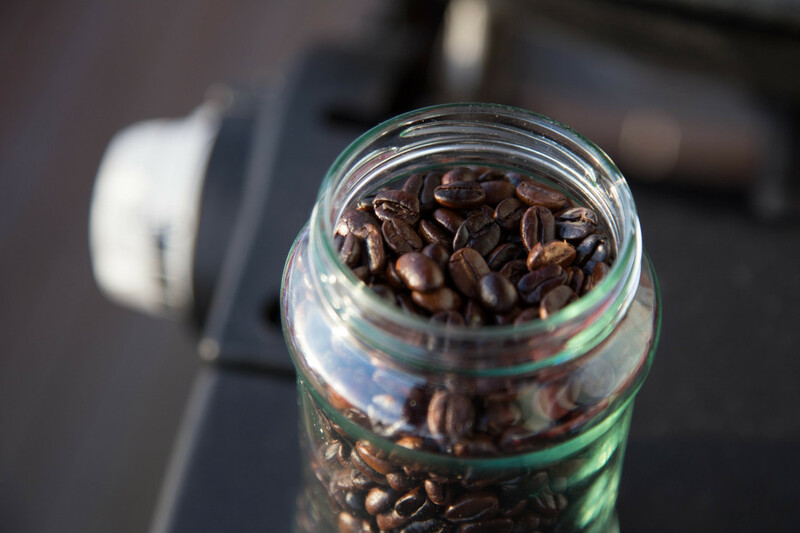 First crack happens at a bean core temperature of 200 C / 390 F. The time may vary, but first crack usually happens after 30-40 minutes. A little stirring during cracking distributes the heat. 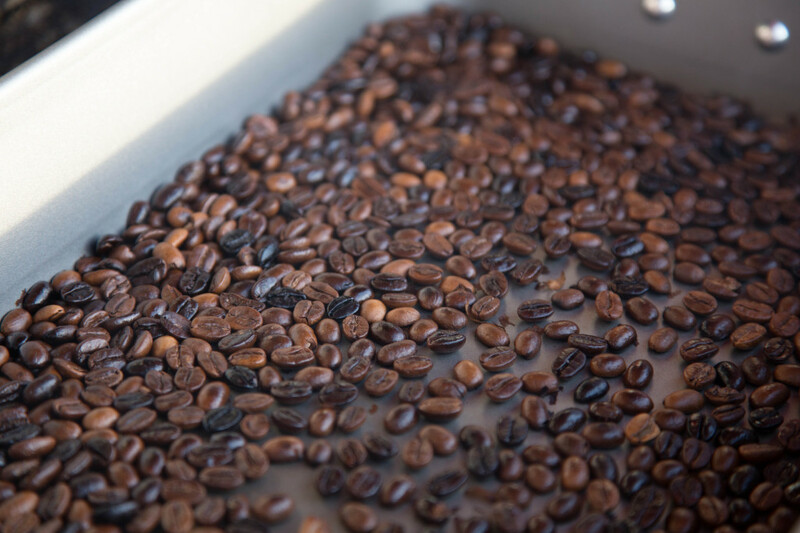 When the beans have an even brown color the tin is taken out of the stove and cooled. 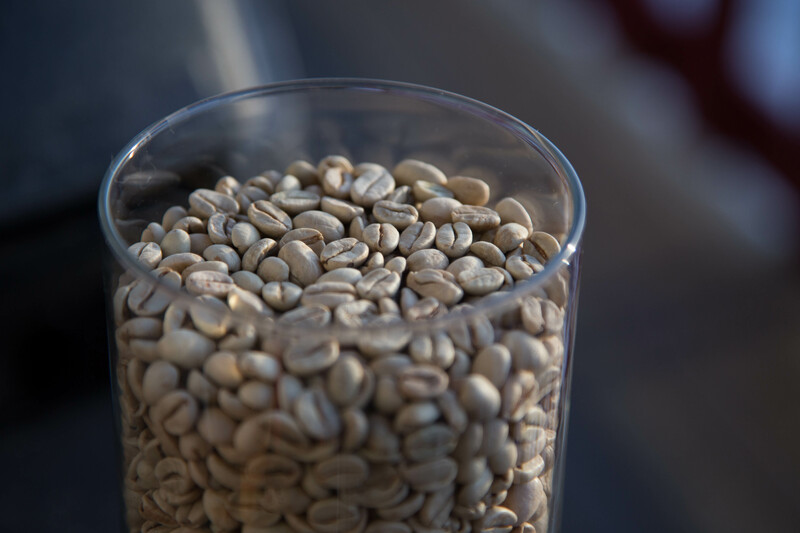 During roasting chaff has been produced as silver skin has been released from the beans. 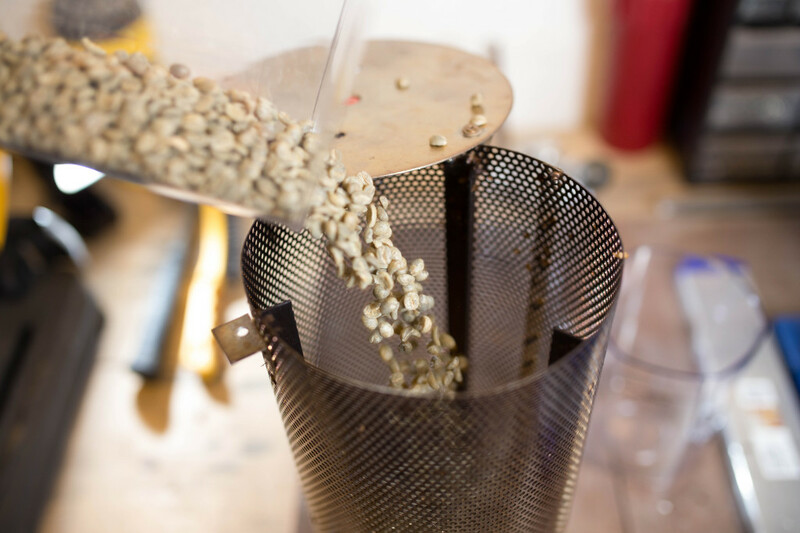 The chaff may be removed manually or blown away outdoor before the beans are stored in an air tight container. 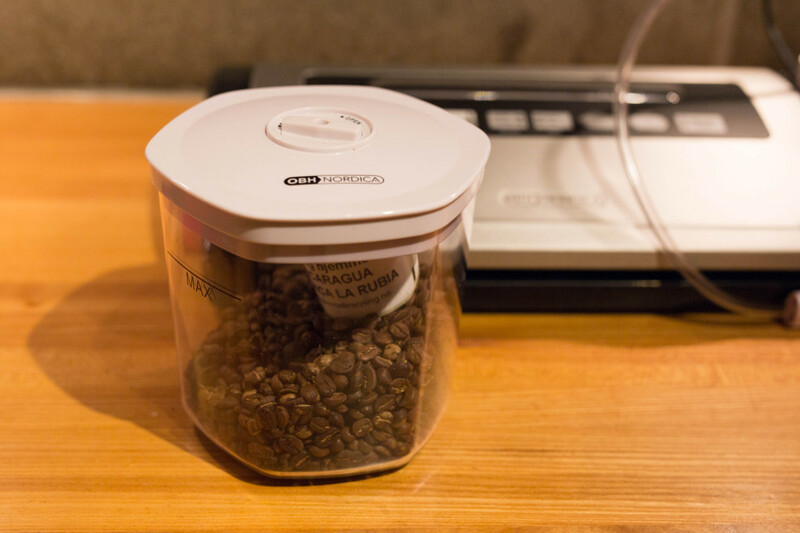 Ideally a vacuum container is used to protect the beans from reacting with oxygen. 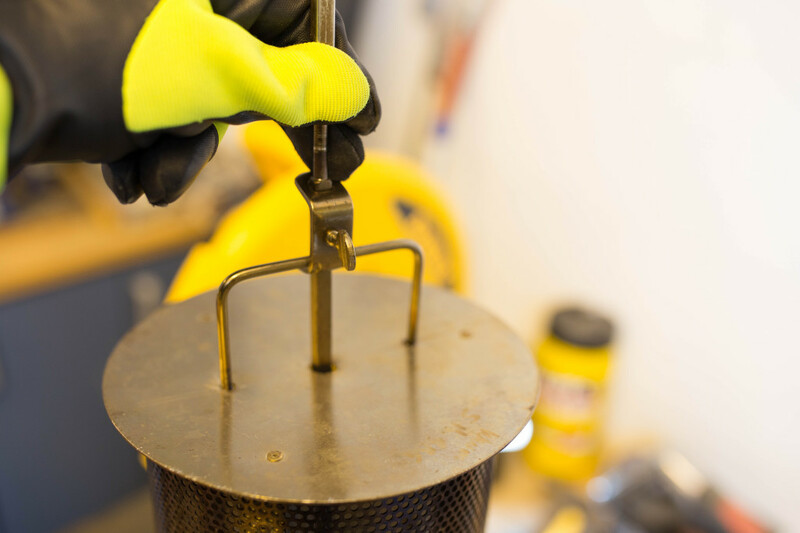 Chaff may be removed manually or by careful blowing of air, but this may be both time consuming and messy. Therefore I have constructed a simple prototype of a chaff removing machine. 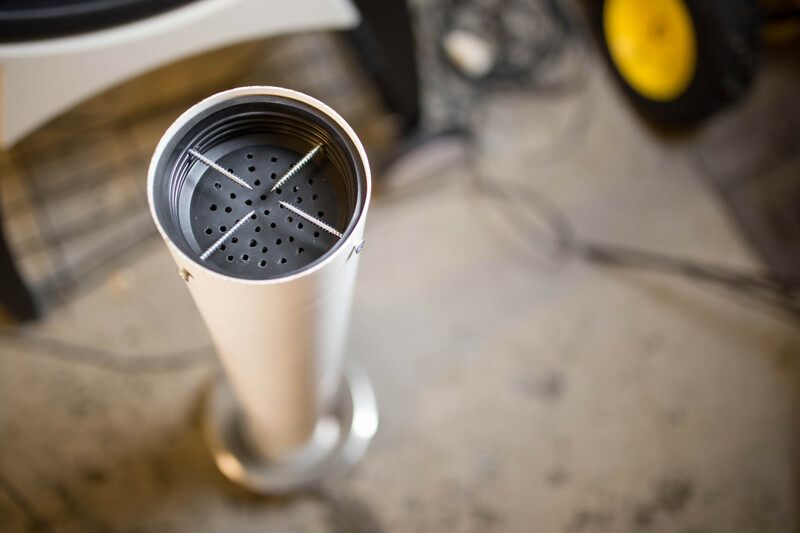 It is made of a ventilation tube with a perforated lid in the lower end, here seen upside down. 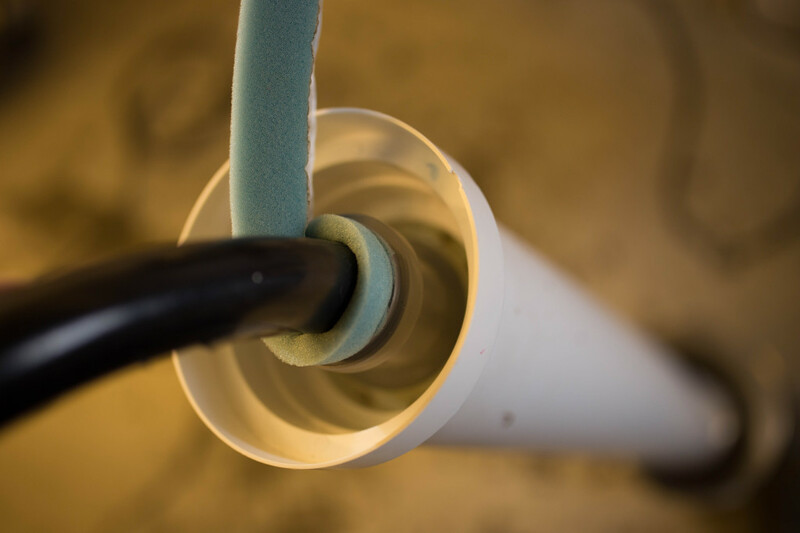 The vacuum cleaner tube is fastened to an air tight lid in the upper end, and the vacuum cleaner is started. The chaff is easily sucked up by the vacuum while the beans remain in the lower end of the tube. 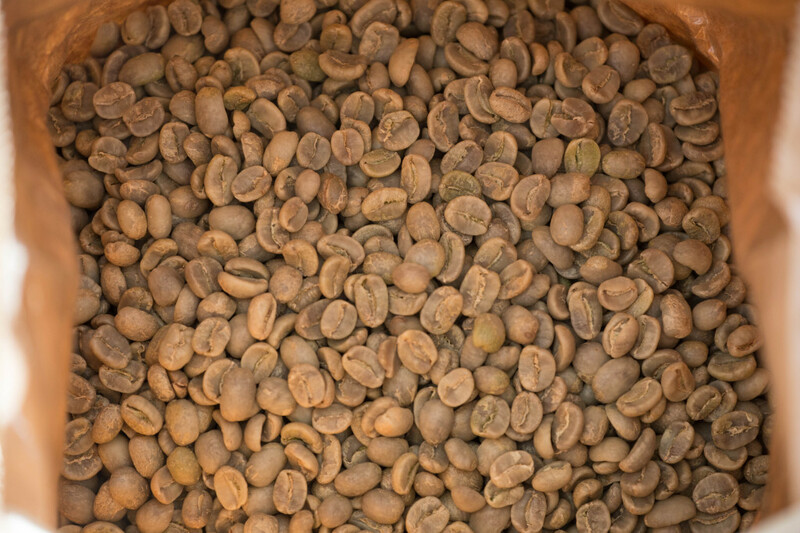 Recently I recieved another delivery of 77 lbs (35 kg) green Arabica coffee beans from Nepal. 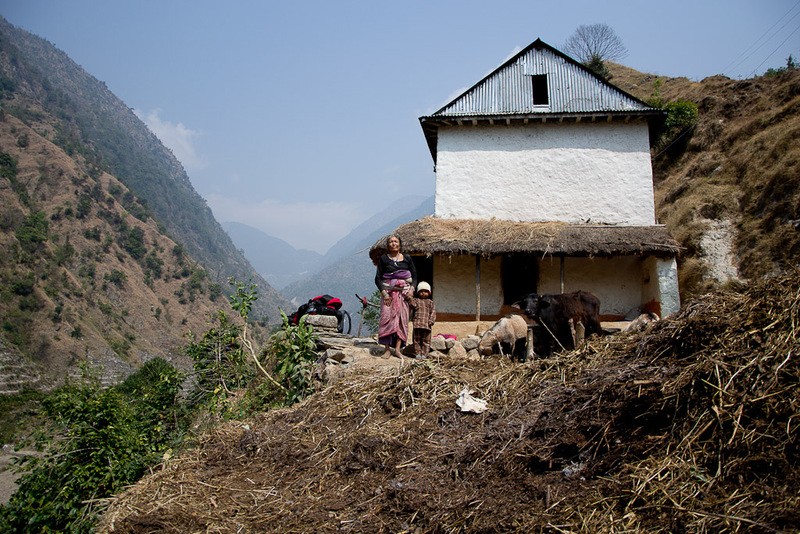 Greenland Organic Farm produces excellent coffee in the hillsides of the Himalayas. 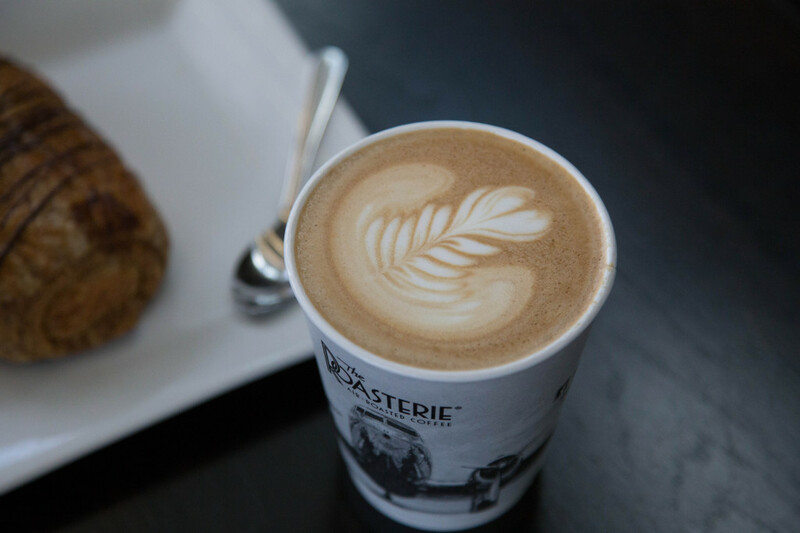 This coffee has become a favorite among my colleagues and friends. Raj Kumar Banjara is a real enthusiast among coffee farmers, he produces Bourbon Arabica coffee 4000 ft (1200 m) above sea level. 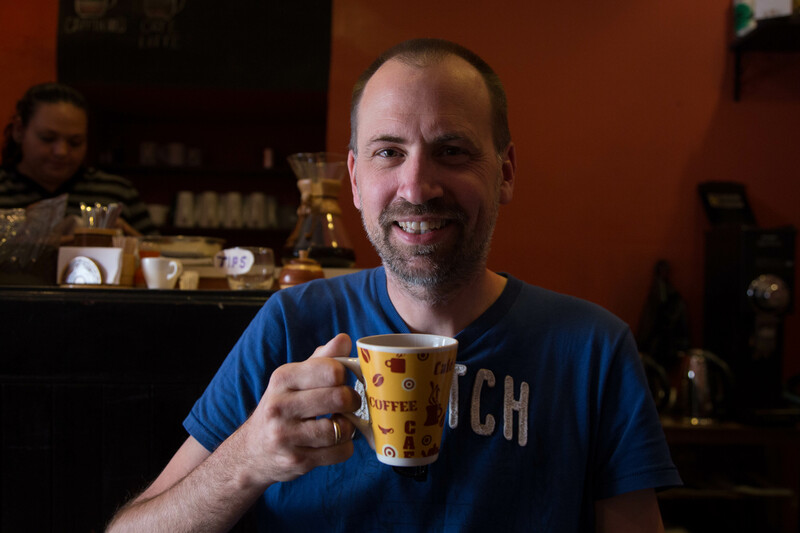 I discovered this producer on an Internet trading site and was really excited when the coffee arrived only two days after leaving Kathmandu with DHL Express. 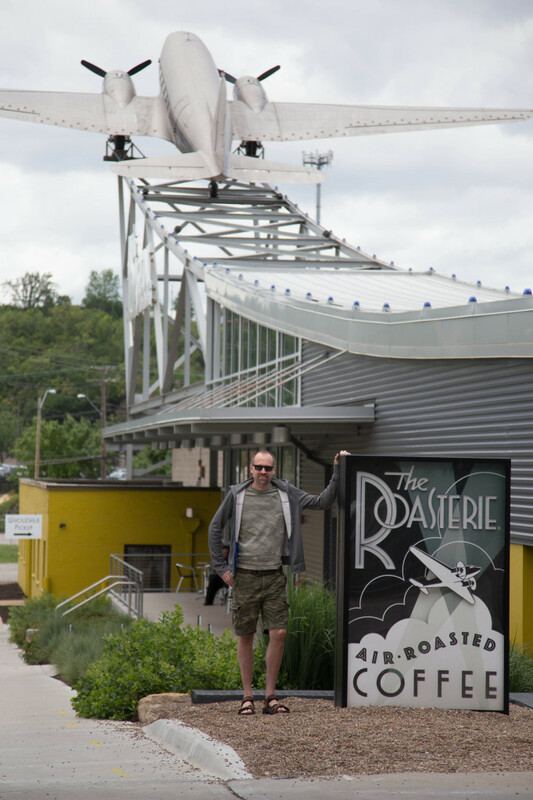 I was not disappointed, the coffee smelled fantastic during roasting and tasted even better. 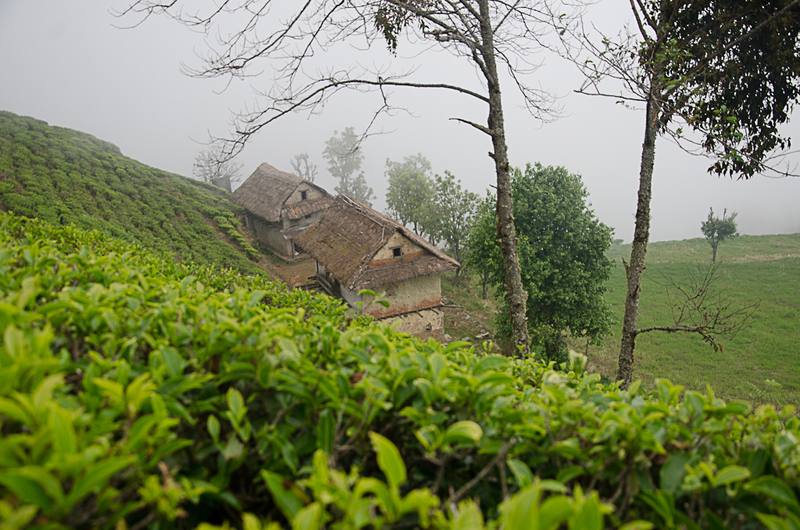 At Greenland Organic Farm they grow both tea and coffee in the beautifull hill sides of the Himalayas. Cuenca is an Ecuadorian city 8.400 ft (2.560 m) above sea level. The center of the city is listed as a UNESCO World Heritage Trust site because of its many historical buildings. 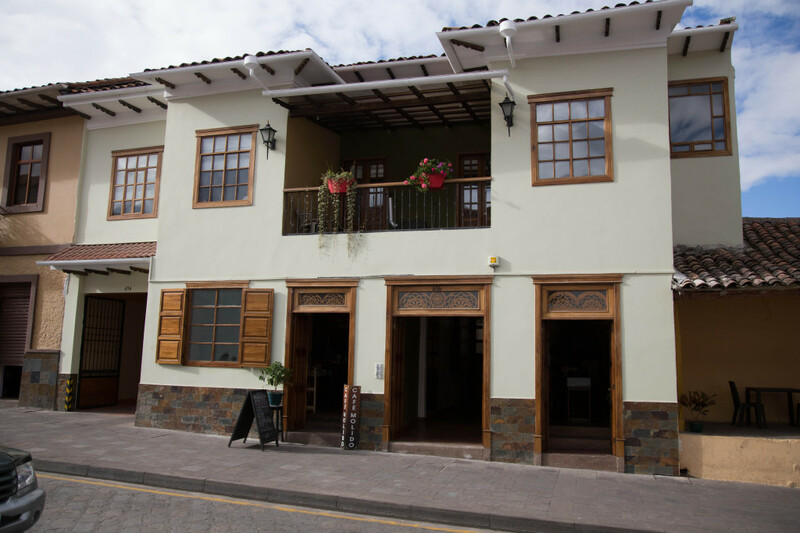 Cafe de Ñucallacta is a cosy little coffee shop roasting and serving their own coffee. 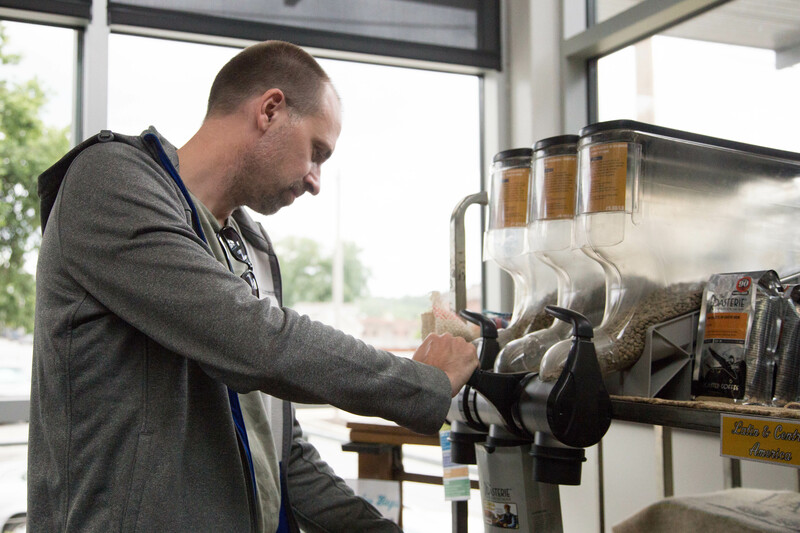 The owner Rumiñahui Duchicela, also called Rumi, has a passion for coffee. 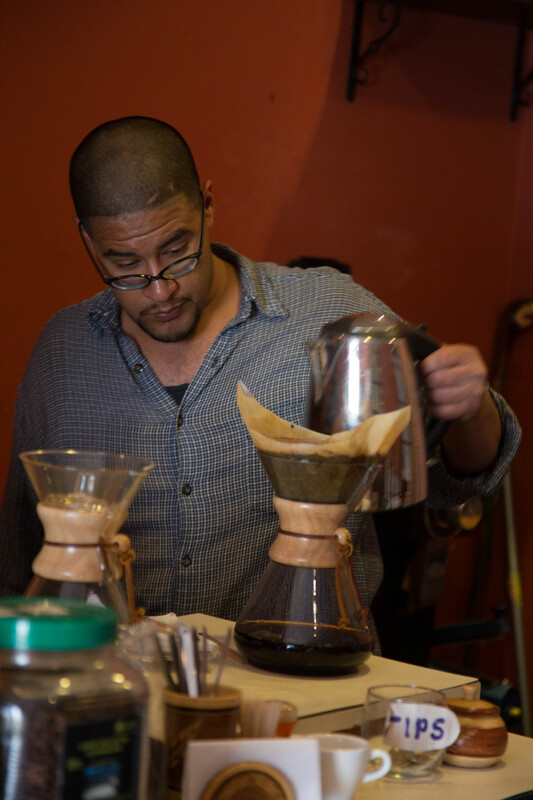 His goal is to produce the best coffee in Ecuador. 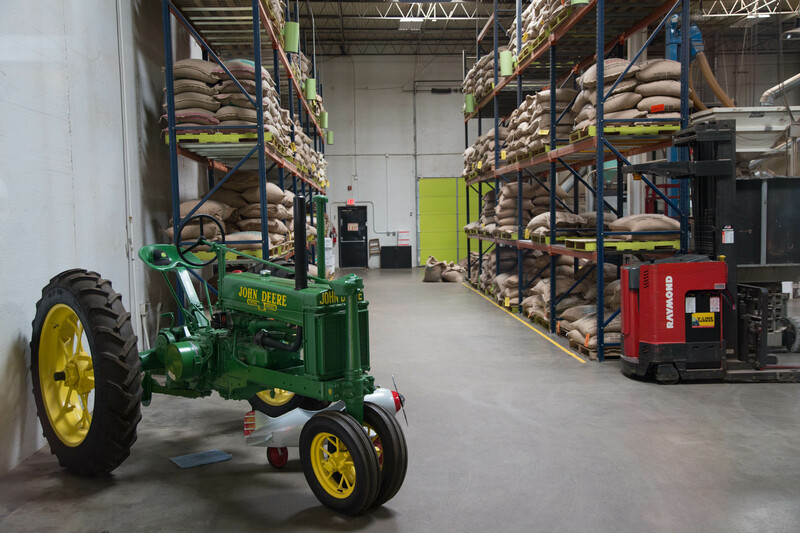 One of his favorites is the coffee from the valley Vilcabamba. Locals in Vilcabamba assert that it is not uncommon to see a person reach 100 years of age and it is claimed that many have gotten to 120, even up to 135, which would make it an area with the oldest inhabitants in the world. 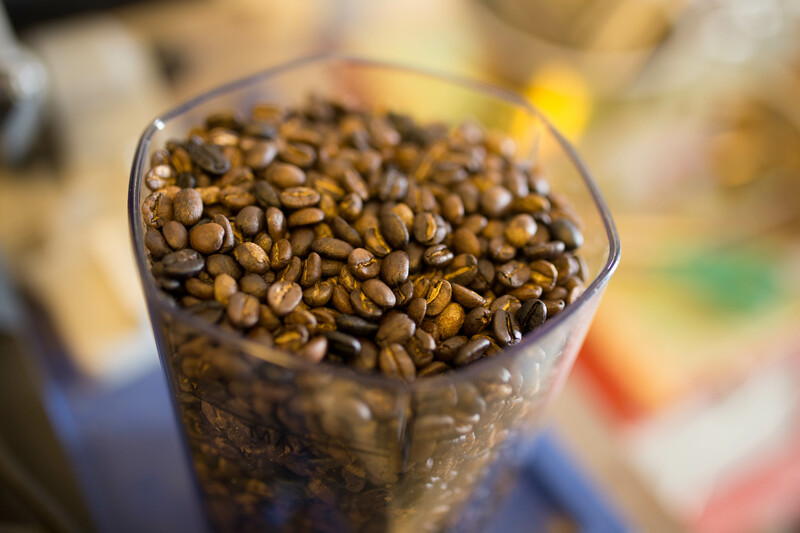 The coffee from Vilcabamba is a winner! 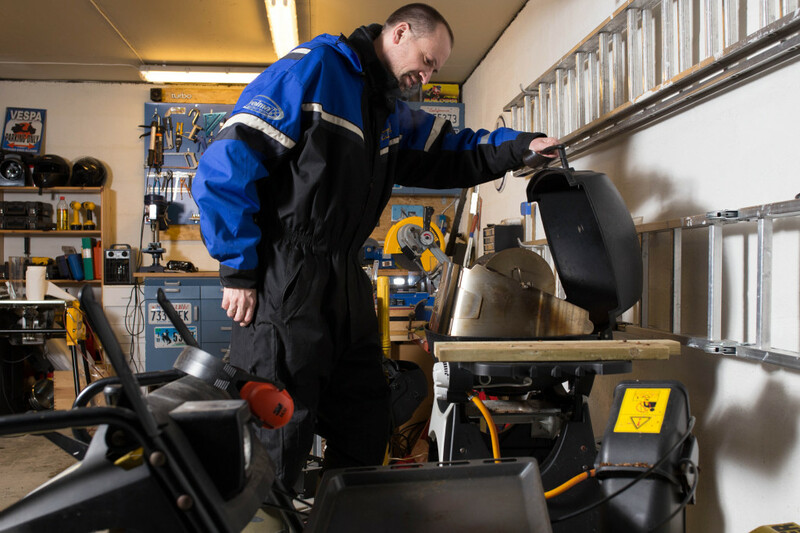 I wanted to import unroasted Vilcabamba coffee to Norway, and Rumi was really helpful following me to both the local post office and a courier company. 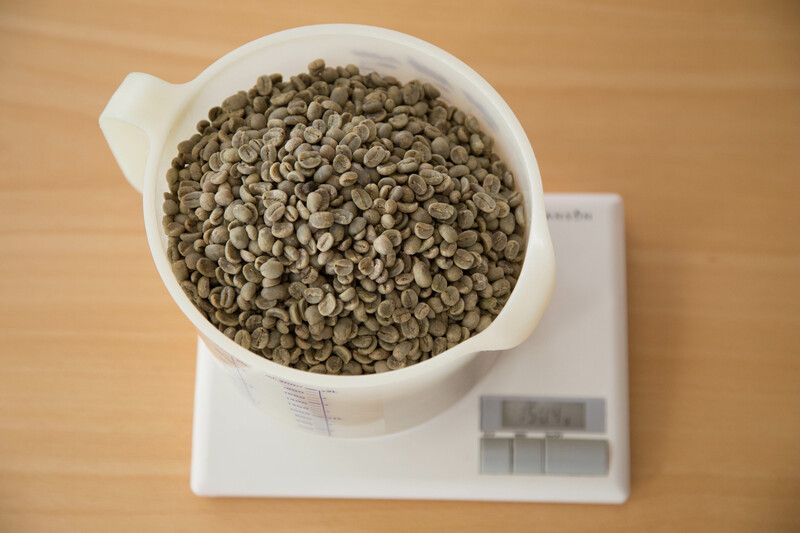 However, the bureaucracy in Ecuador is very strict when it comes to export of unroasted beans and the courier shipping prices are quite extreme. 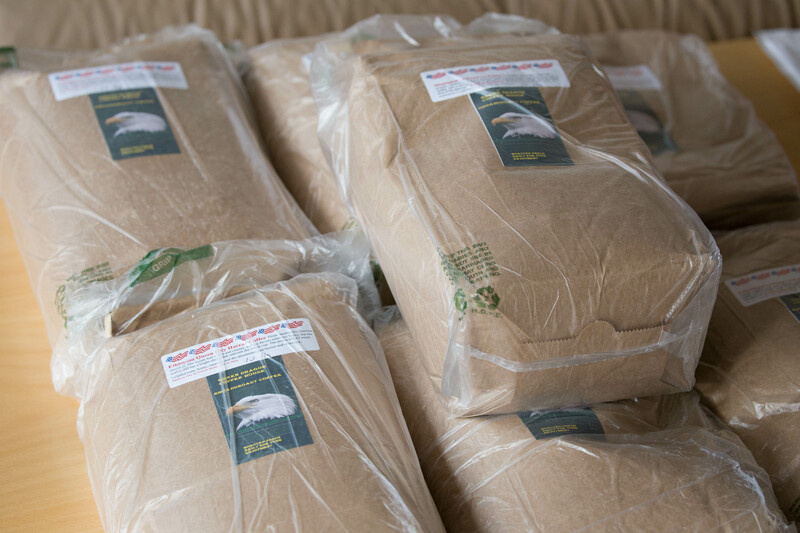 Fortunately I have now succeded in importing green Vilcabamba beans via a company in Germany! 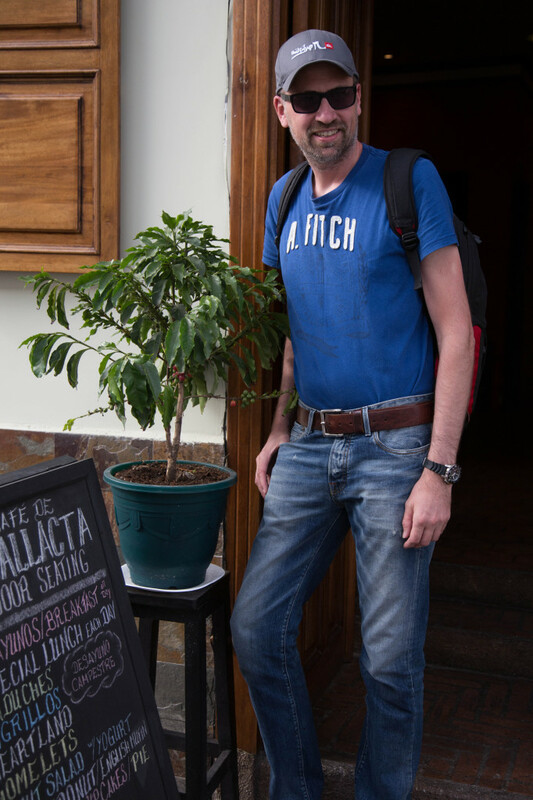 If you ever go to Cuenca – a visit to Cafe de Ñucallacta is inevitable! In the meantime you may visit them online at cafenucallacta.com. 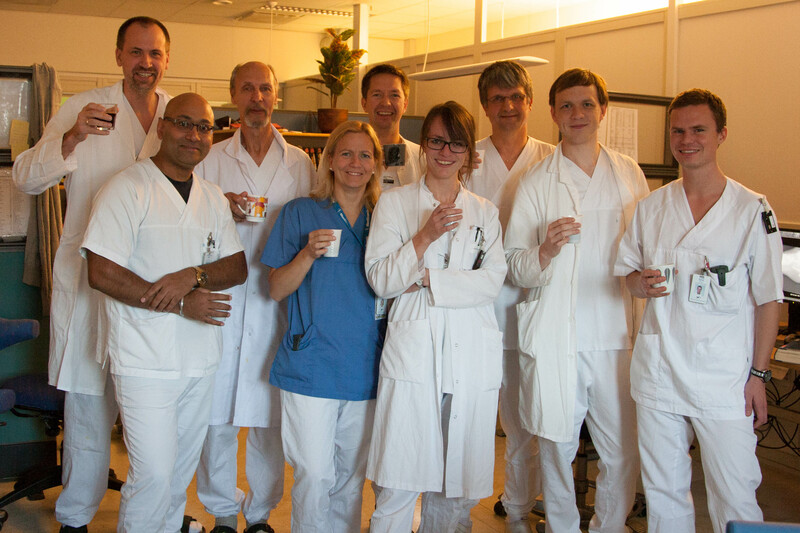 It should not be necessary to tell that the coffee was really good! 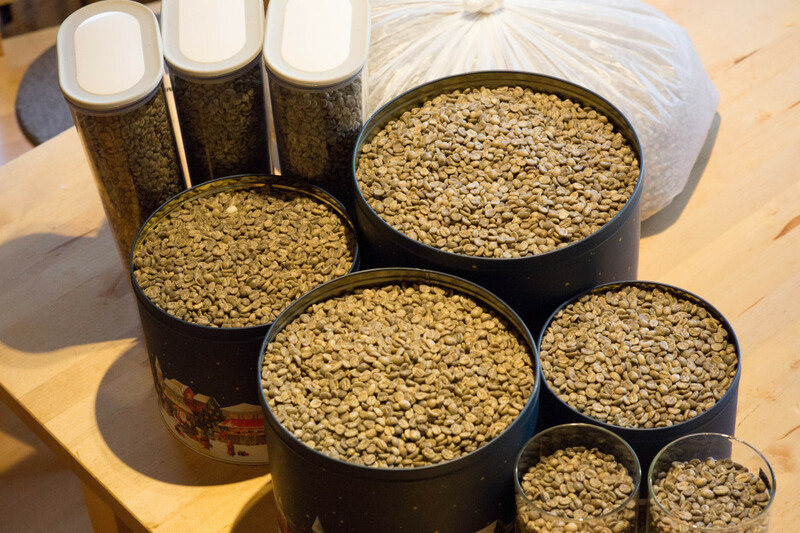 Today I received a delivery of 65 lbs green coffee from the USA. 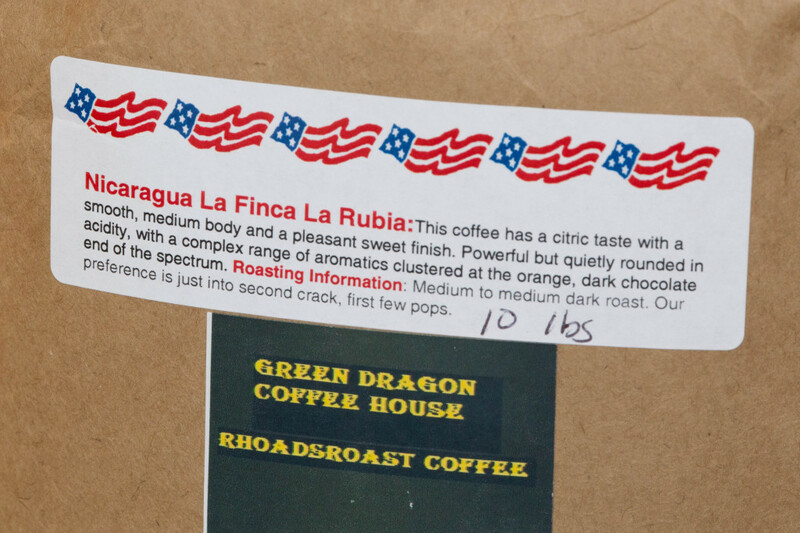 I really looked forward to taste the coffee from the farm La Finca La Rubia in Nicaragua. This coffee is really fair trade. 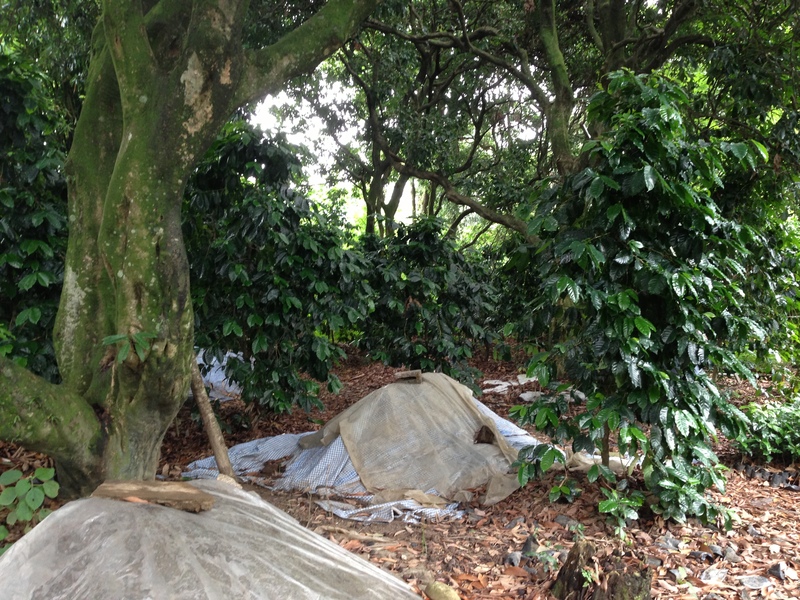 La Finca is a small paradise in the mountains of Nicaragua, an otherwise poor country. 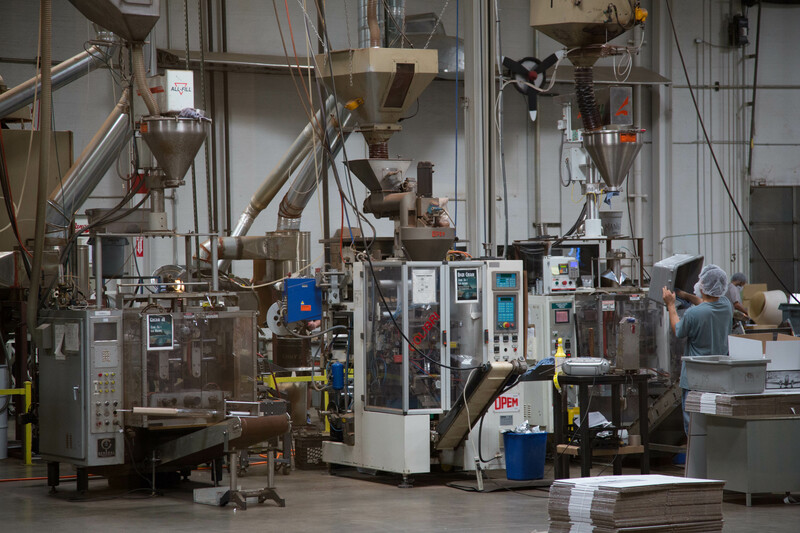 Their workers are decently paid and all profit from the production is spent on sponsoring youth camps at La Finca for poor Nicaraguan teenagers. 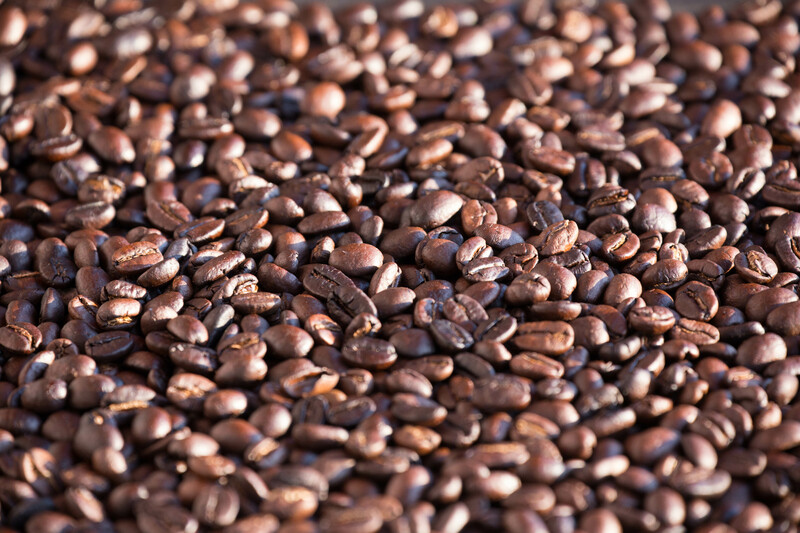 Coffee has been grown in Nicaragua since the 1800s and Nicaraguan coffee was widely known as high quality coffee. 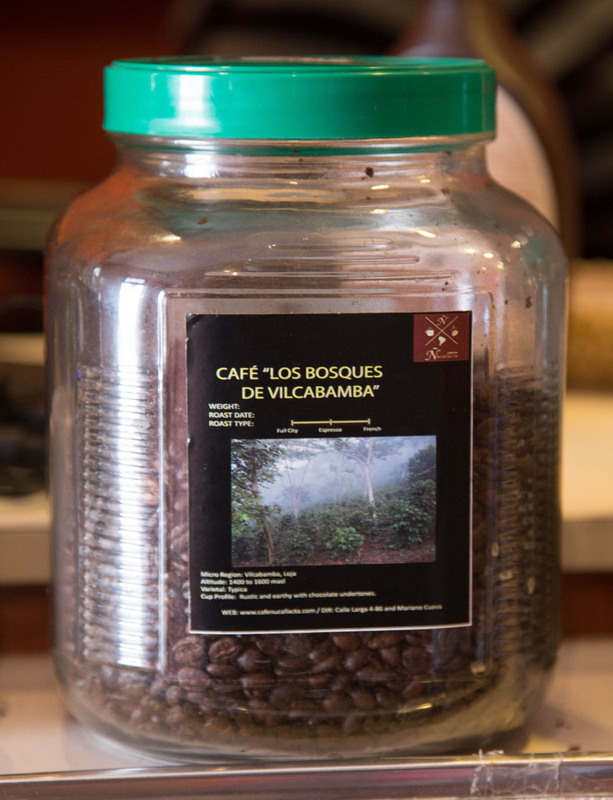 Tornados, political instability and civil war had a devastating effect on Nicaraguan coffee production. 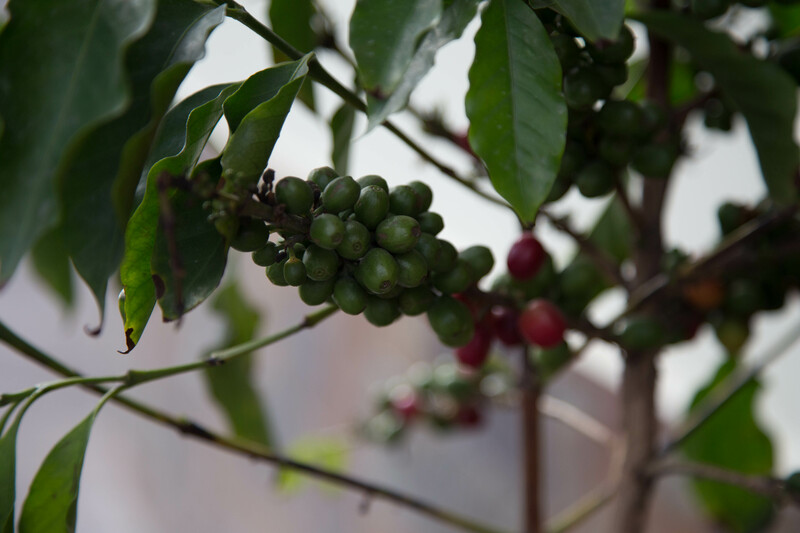 However, today we see a real comeback for high quality coffee from Nicaragua, known for its mild taste with little acidity and aromatic taste of citrus, vanilla and nuts. 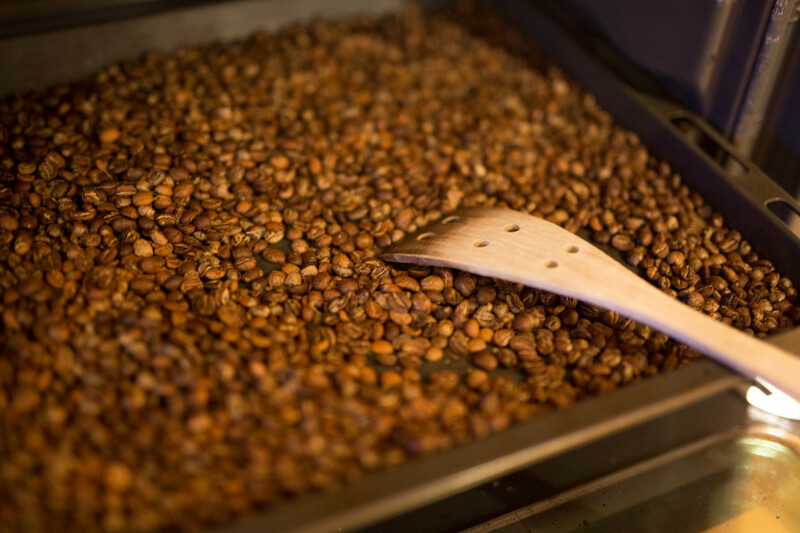 The smell during roasting is heavenly, this has to taste good! 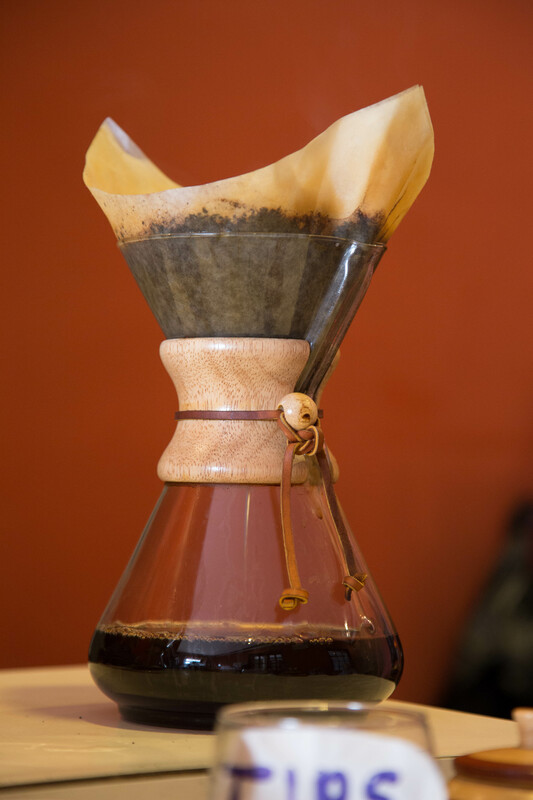 Wow – this coffee is fantastic! I have just received my new American steel drum for coffee roasting. 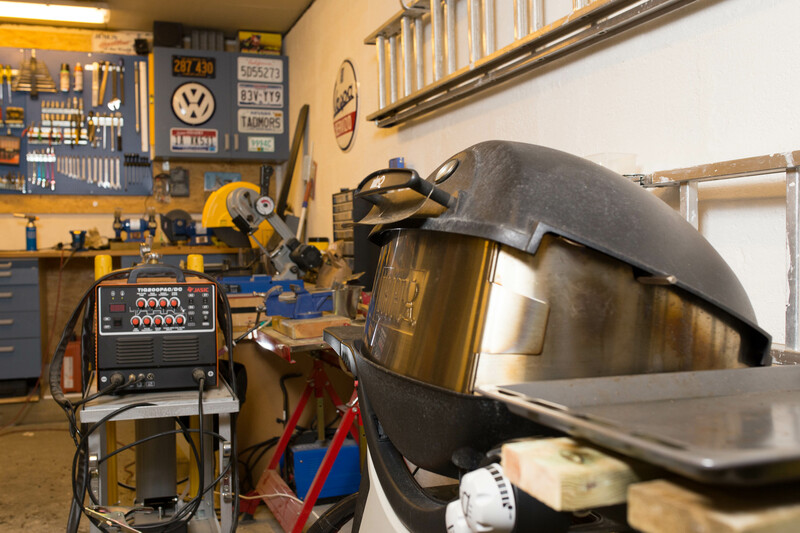 According to the metal craftsman I found on eBay, I may now roast batches up to five pounds of coffee at a time on my gas grill with a rotisserie. 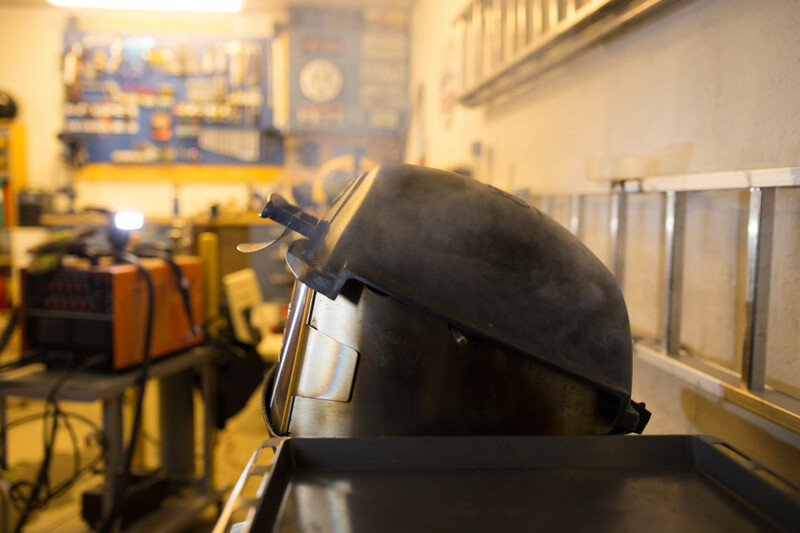 The drum is filled with beans and the rotisserie turns the drum! 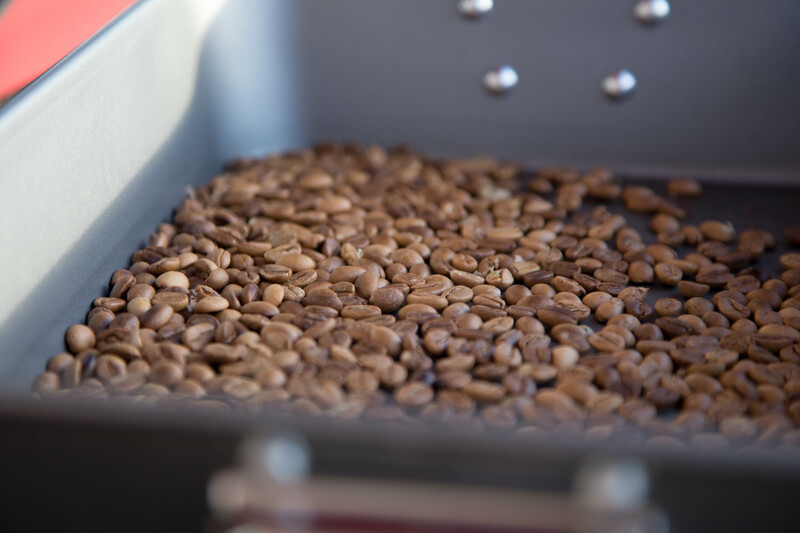 Depending on ambient and grill temperature, after 20-40 minutes we can hear the beans go through their first crack, giving a popping sound as their core temperature has risen to 390 F (200 C). 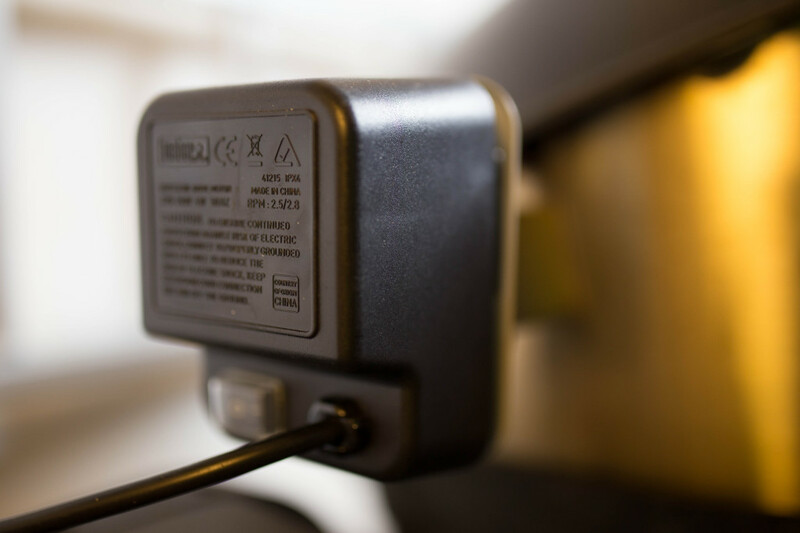 As the core temperature reaches 440 F (225 C) the weaker second crack is heard. Green coffee beans are available in some coffee shops and many web shops, eBay is also a great place to buy unroasted coffee. 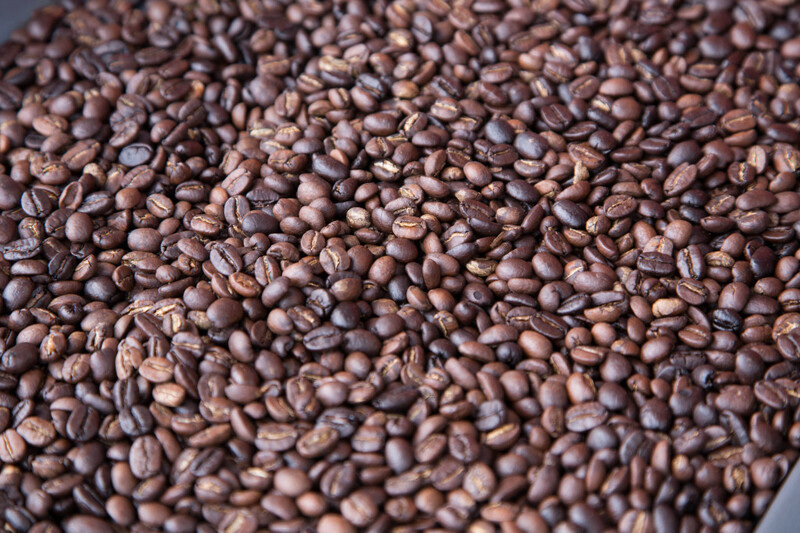 Coffee may be roasted in many different ways, at home you may use the stove or a frying pan. 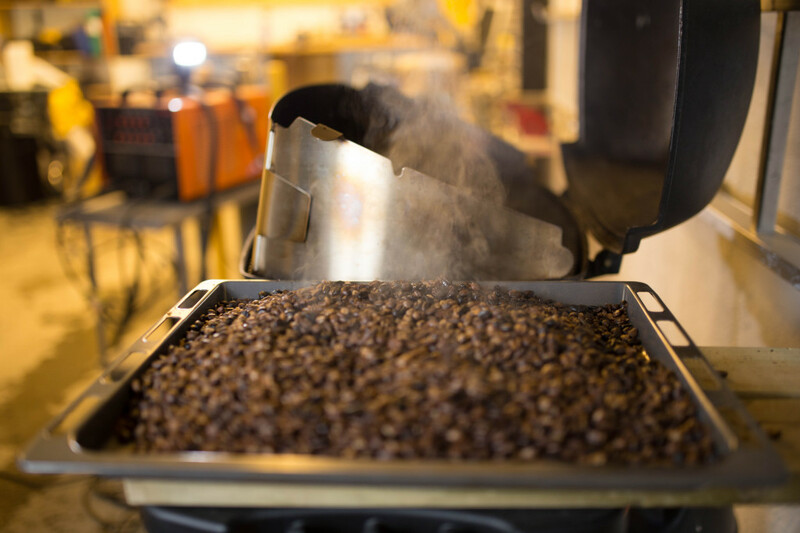 Light roasting may be done indoor. 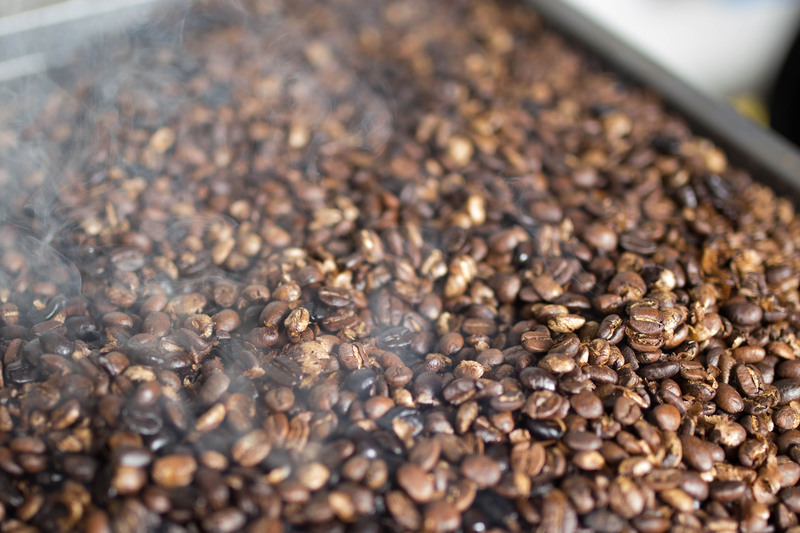 However, roasting on the darker side causes a lot of smoke development. 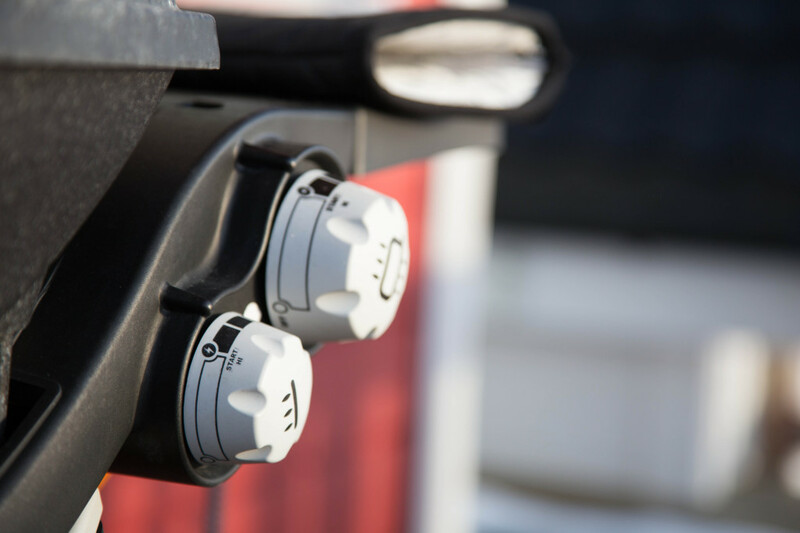 Roasting outdoor on the gas grill saves a lot of trouble associated with smoke and chaff in the kitchen. You can use a regular roasting tin and spread the green beans evenly as one layer. 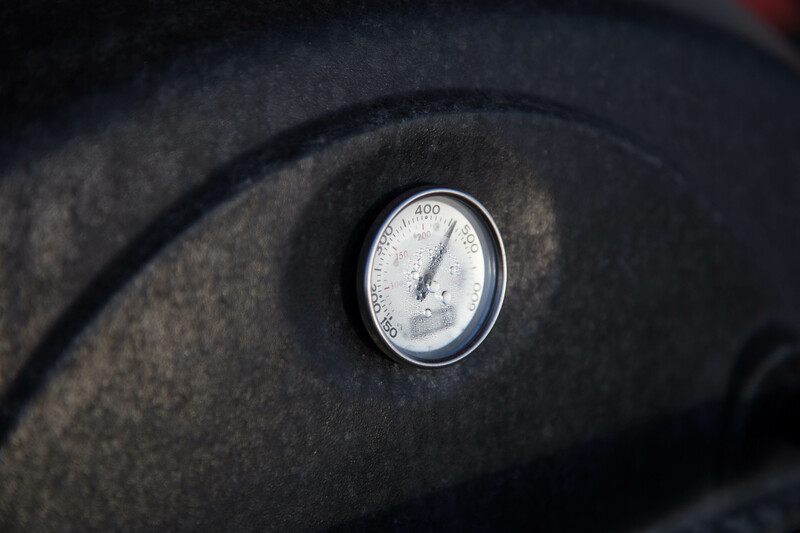 In this way you may roast at least half a pound in one session. 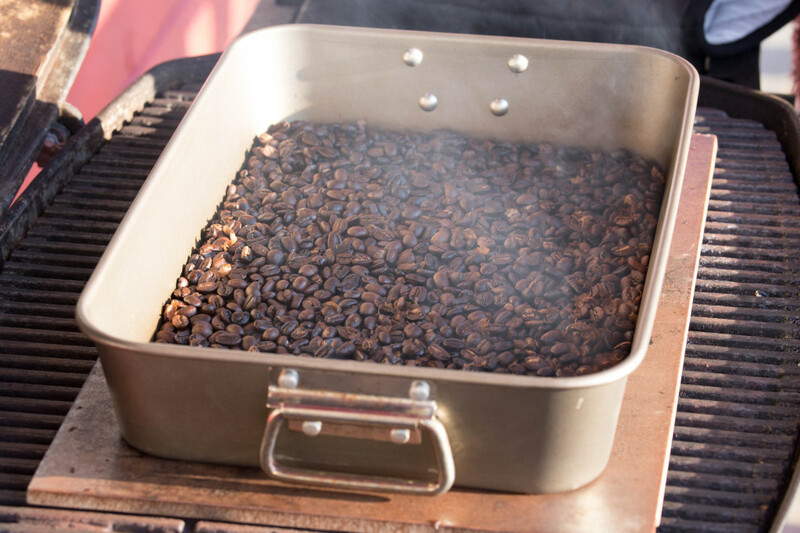 In an emergency situation you may even roast coffee beans on a sheet of aluminum foil on gas or charcoal grill. 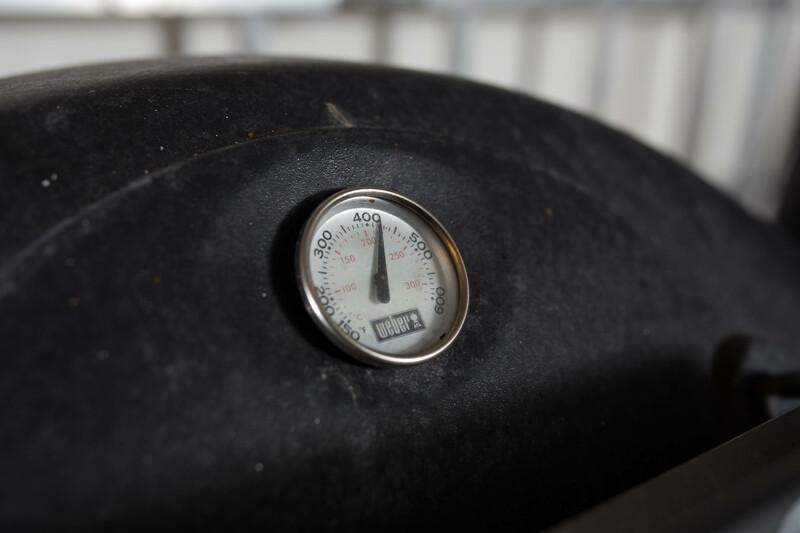 I usually turn the heat to maximum and leave the grill open for a couple of minutes, this will dry the beans before the roasting process starts. 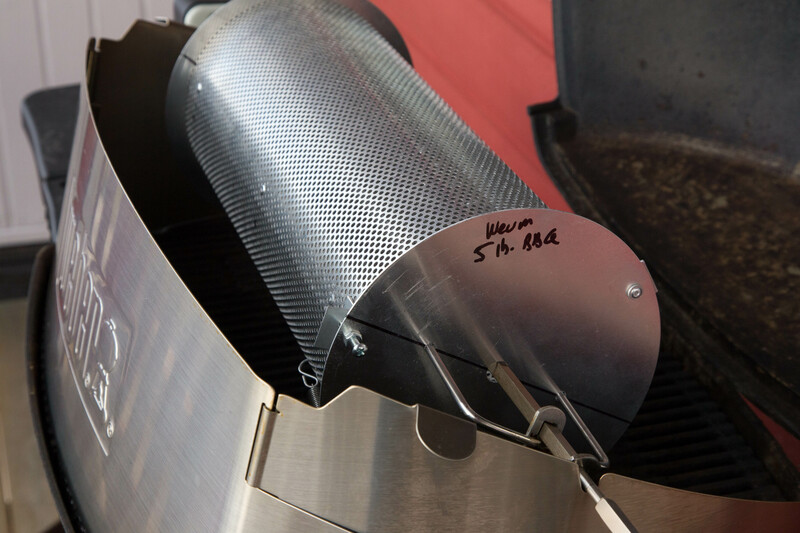 During roasting you can keep the grill closed and open it every 4-5 minutes, shake the tin to spread the heat and close the grill again. 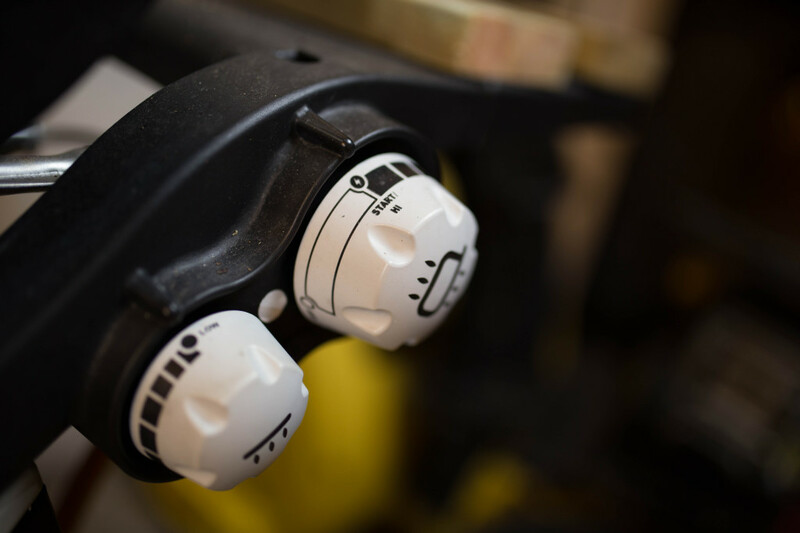 Continue to shake the tin or stir the beans every 4-5 minutes and keep up the heat. As the temperature inside the beans reaches 390 F (200 C) they crack and make a popping sound, almost as popping popcorn. After this first crack the coffee is light roast. 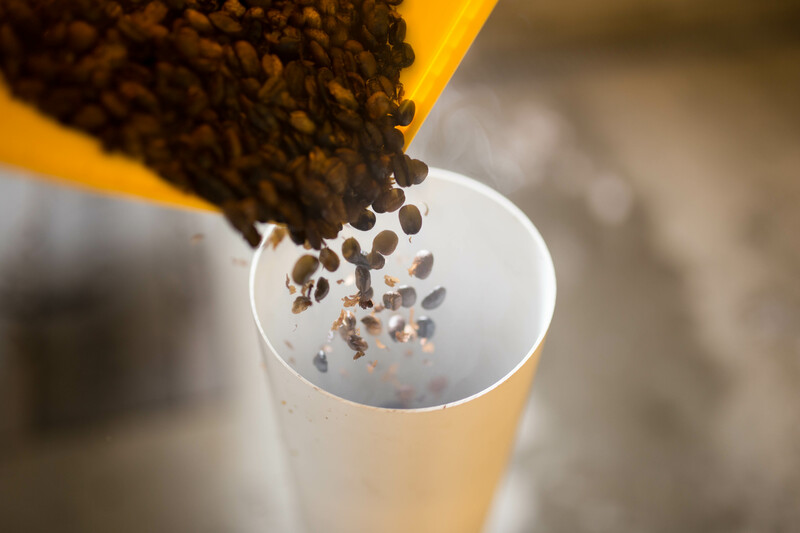 When the core temperature of the beans is 440 F (225 C) they crack for the second time. 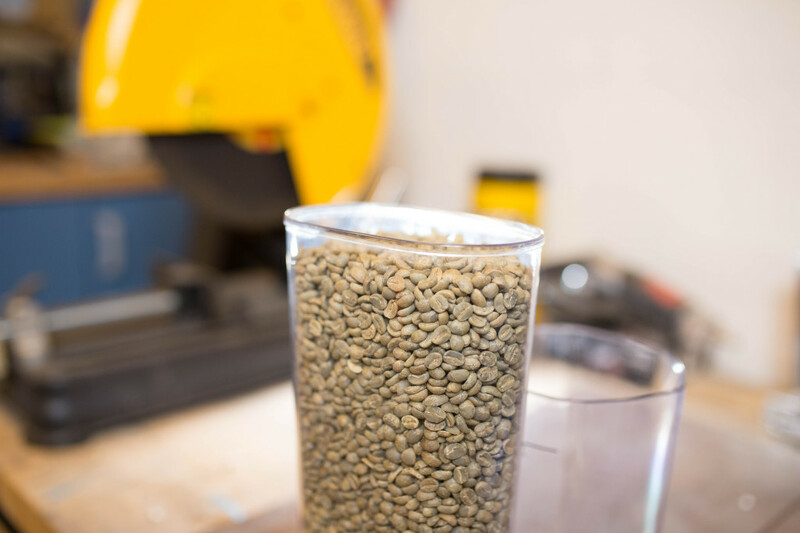 After this second crack the beans are dark roast with a dark oily surface. 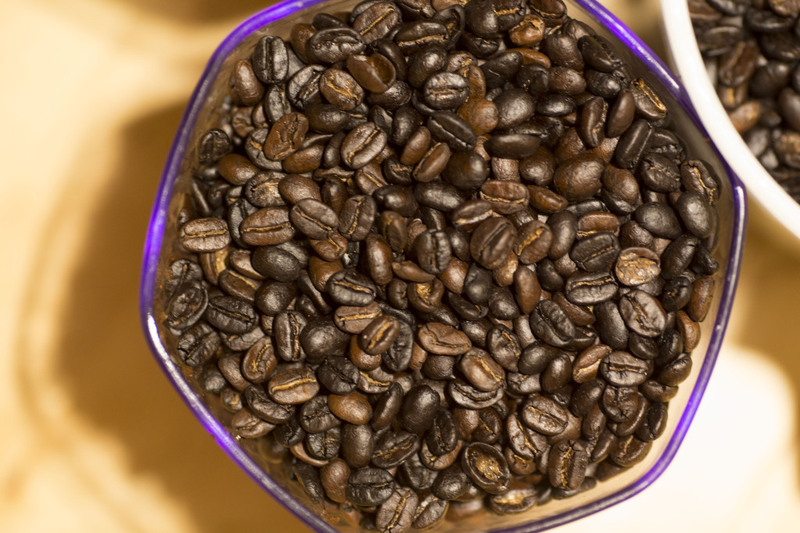 How dark you roast the coffee is a matter of taste and the different popping sounds indicate how dark the coffee has become when the grill is closed.